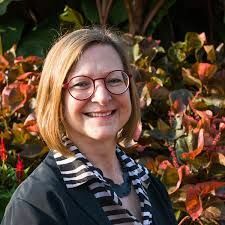 Harris Search Associates has recruited Dr. Heidi Appel as the next Dean of the Jesup Scott Honors College at the University of Toledo (UT). Her appointment will be effective August 15, 2016. Dr. Appel has most recently served as Senior Associate Director of the Honors College from 2012-2016 at the University of Missouri (MU). She has been involved in Honors education for over 20 years at two research-intensive public universities. In 2012 she entered honors administration as an Associate Director of the Honors College at MU and six months later became Senior Associate Director to reflect rapidly expanding responsibilities and value to the College. Dr. Appel has also served as Senior Research Scientist & Member of Graduate Faculty, at the University of Missouri, 2007-present and previously, as Research Associate & Member of Graduate Faculty, at the Pennsylvania State University, from1994-2007 including as Lecturer, in the Schreyer Honors College & PSU Dept Biology, 2000-2004. Named to honor the former newspaper editor who established The University of Toledo, the Jesup Scott Honors College was founded in 1963, making it one of the oldest honors programs at a state university. Elevated to a college in 2013, the Jesup Scott Honors College seeks to build on past successes and engage in strategic planning for a vibrant future. The Honors College houses the Office of Undergraduate Research, leading to a rich participation of Honors students in research at home and abroad. Honors students also have access to dedicated Honors housing, and scholarship/grant funds designed to defray the costs associated with research, study abroad, and other educational opportunities. Honors students also benefit from the Jesup Scott Honors College Distinguished Lecture Series, which brings some of the most exciting and innovative social luminaries to campus to interact with Honors students as well as the broader community. Harris Search Associates- www.harrisandassociates.com - an IIC Partners member firm, is a leading global executive search and board advisory consulting firm with 52 offices in 34 countries worldwide. Our practice is focused on identifying and attracting leaders to support the growth of clients in the areas of research, science, engineering, academic medicine and commercial enterprises. Clients include the foremost universities, research parks, institutes, academic medical centers and commercial organizations driving global innovation and discovery.